Luther and Fudge are best friend forever. Have you meet Hans and Matt? I think they are so adorable, do you think they are adorable too? Meet Luther the fabulous dog. Kuma is a 3 year old Shiba Inu dog. Denali is a German Shepperd dog from Nevada, and he’s a future sport dog. Cha Cha Gabor is thee dog who saved Hollywood. Prismo is a Boxer x Pit mix, and he’s the nicest dog in the neighborhood. This a drawing of Nimbus a French Bulldog, he is part of the Hyu family. I found a cute photos of a puppy on the intenet and i decide to draw it. 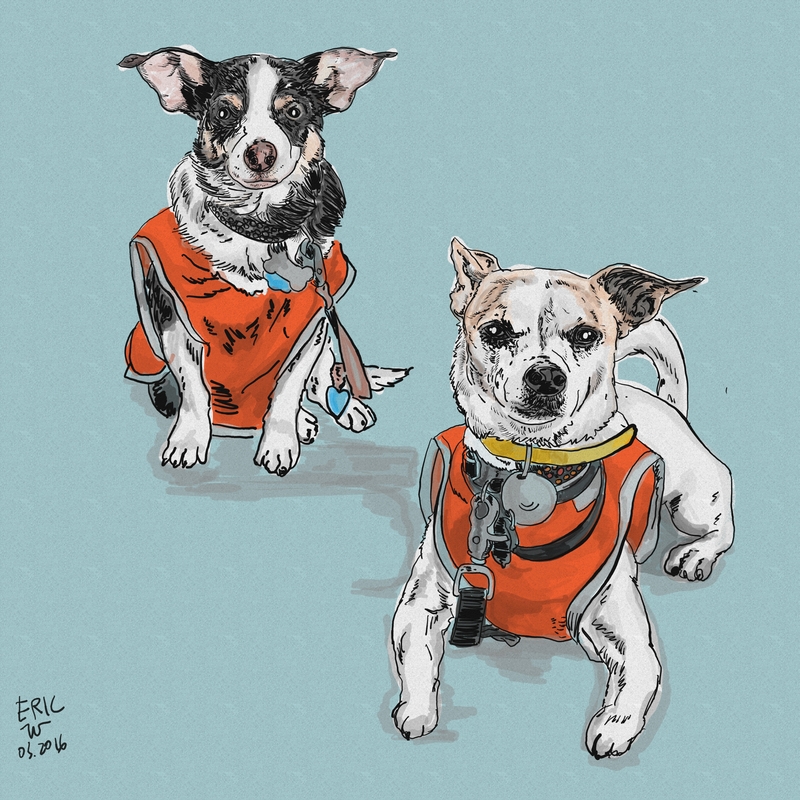 If you want your own custom dog/pet portratit, please click ‘order’ on the menu.